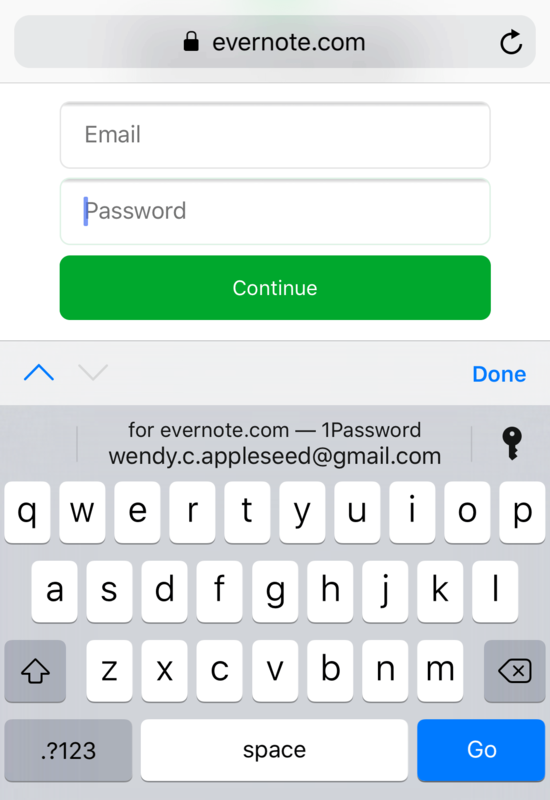 To fill or save a password, visit a website in Safari or open an app, and tap a username or password field. If you have a Login saved for the website or app, you’ll see your username above the keyboard. If not, you’ll see Passwords. To fill a Login, tap your username above the keyboard. If you have more than one Login for the website or app, tap to choose a different one. To save a Login, tap , then tap Create Login. Enter your username and password, or tap Generate New Password to automatically create a strong password. If a website has specific password requirements, tap Show Password Recipe and adjust length, digits, and symbols. When you’re done, tap Save & Fill. To change where Logins are saved, open 1Password, tap Settings > Vaults > All Vaults > Vault for Saving, and choose a vault. AutoFill requires 1Password 7.2 or later. in an app, tap Passwords to see all of your Login items and choose the one you want to fill. in Safari, you may need to edit the item to make sure its website field matches the website. 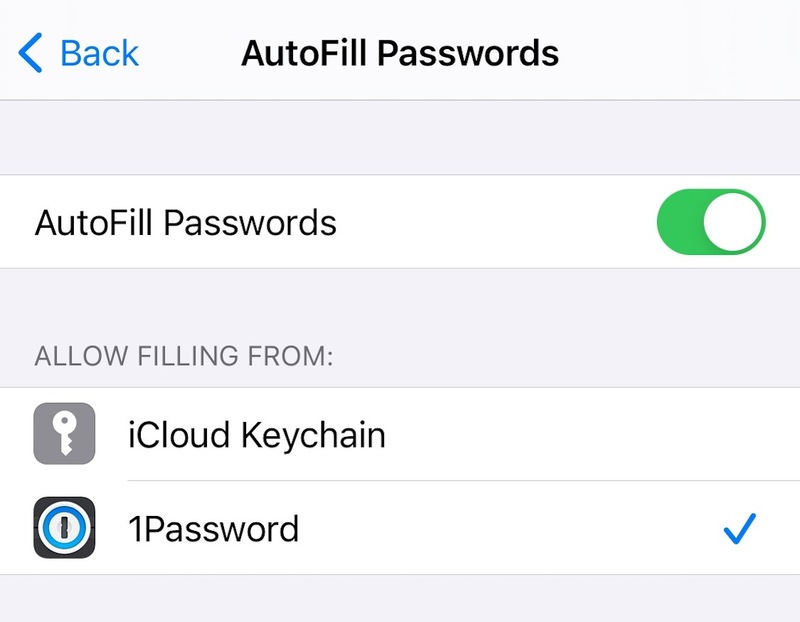 If you recently changed an item on another device and the change isn’t appearing when you attempt to fill, open and unlock 1Password to sync your changes. If you’re an iOS app developer, set up your app’s associated domains. Make sure that you set up 1Password. Make sure that you set up AutoFill.